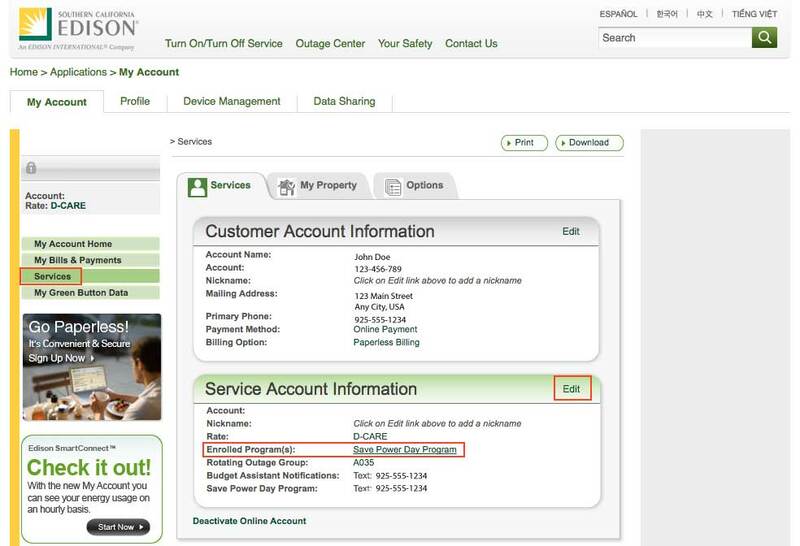 Here are instructions for disenrolling from SCE's Save Power Day Incentive Program. Note that the official name (e.g. in the Rule 24 data) for this program is Peak Time Rebate (PTR). 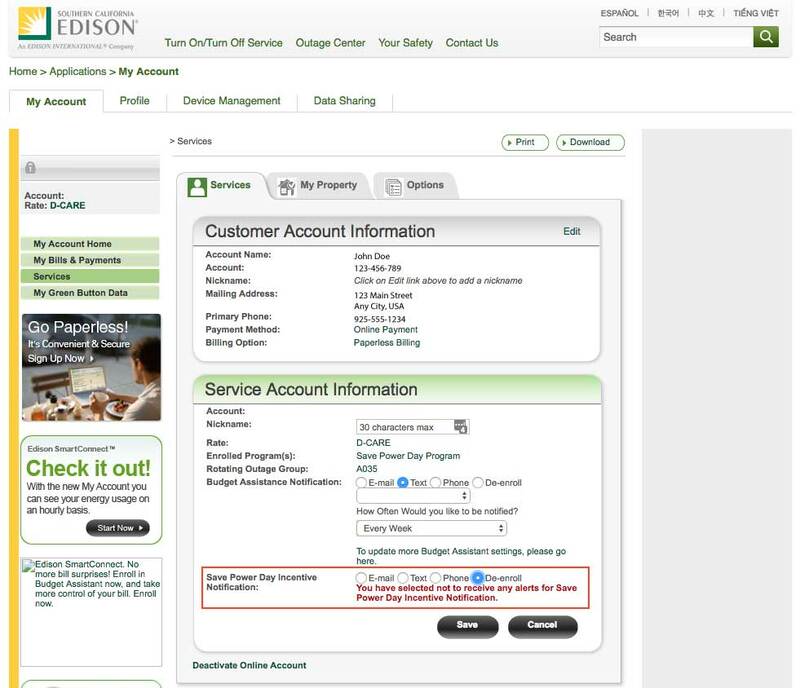 Sign in to SCE.com and click "Services" on the left-hand side of the page. You'll see that the customer is enrolled in the Save Power Day Program. Click "Edit" next to Service Account Information. Select the "De-enroll" radio button next to Save Power Day Incentive Notification and click "Save".